loss of any sort can bring you down. Bereavement is a natural process to go through, and every person takes their own time and goes through many stages. We can often suffer from feelings of relief followed closely by guilt, remorse, sadness and emptiness. If the death was sudden, an accident or trauma, we may wish we had behaved differently towards them and feel great anxiety. At other times if they have been ill. We may have missed the moment they passed and feel guilty that you hadn’t tried your best. These are all natural feelings to have, and as time passes we often have to deal with other emotions as our lives change. We may have lost a partner. A few years later find ourselves in the company of someone else and feel immense guilt. But talking through with a therapist can help you move forward and come to terms with the passing. Solution-focused therapy can help someone look at the times the problem is not occurring, maybe they feel lonely, or guilty. Whatever they are going through SFT can help them look forward and move forward instead of being stuck in the moment. As people realise there are positive moments in their life. It’s not all doom and gloom, they are able to deal with the negative emotions they often grapple with. Help of this kind can allow them to use their skills in the future and build realisations and resourcefulness. 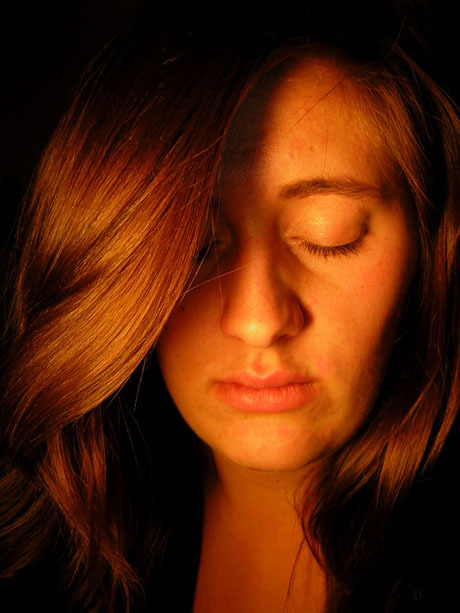 Hypnotherapy can help reduce the stress of losing someone. It can help change negative thought patterns and allows a person to gently move forwards again and be able to leave the negative emotions behind. Sometimes we need to gain insight into our behaviour and CBT offers a route to greater understanding. If we understand how we behave or think can influence our future behaviour. Realising certain circumstances, people or places make them feel worse. Then CBT can highlight and allow the person to think about such things from a different perspective. Focusing on the present moment can help us just be ok with our thoughts and feelings. Being mindful can help us reduce the upset we feel and to help stop worrying thoughts from becoming too overwhelming. Mindful breathing exercises can help to stay calm, cool and collected and allow compassion to develop. If a passing has been traumatic then BWRT can be used to help scramble and change the distressing memories. By creating a preferred outcome, BWRT can help stop intruding thoughts and feelings. A lady called Philippa from Oxford, who had lost her baby back in March, approached me recently. The purpose of her coming to see me was that she was now pregnant. She felt that she wasn’t ready yet to be a mother, just in case it happened again. We spoke at length, and she felt there was just too much going on in her life at the moment. Her husband was recovering from a heart attack. (which was triggered by the stress of the loss). She realised who her real friends were, quite a few she’d known since childhood had simply disappeared from the scene. We discussed how quite a few people would have problems knowing what to say or do in those circumstances. Many times during the consultation, she was in floods of tears as she recalled the horror of her experiences with the hospital. The baby had been born early, and underdeveloped. Consequently while she had been sent home to recover, the baby passed within a matter of hours. I gave her a copy of my CD to listen to and explained that reducing some of the stress she was experiencing, would help her bring her new baby to full term. I also recommended her husband listen to it, to help him recover from his heart attack. One week later, she was back and grinning from ear to ear. Just being able to talk it through with someone. Being unrelated, gave her the chance to think about the future instead of the past. Her sleep was much better now, allowing her to cope with all the preparations needed for the arrival of the new baby. Before seeing me, she was reluctant to purchase any clothing, toys or equipment. She said this is very common amongst women who had lost a child. As a result she was setting up a charity where women who have experienced the same as her, could receive baby clothes immediately after giving birth. She said that she got old self back. Phillipa and her husband had laughed together for the first time since the birth and death of her daughter, and she didn’t feel guilty about it. When we lose anyone we love, it’s very difficult. The sense of loss, and the guilt of survival can take from a month to many years to overcome. It’s never easy to deal with a subject such as this and Philippa slipped through the net as far as proper counseling is concerned. Thankfully, when expecting her next child she had much better support and she gave birth with no problems. If you’ve ever been overwhelmed by the experience of the death of a loved one then solution focused hypnotherapy can help. Call or text “bereavement” to 07759 820674, or contact me. Please read FAQ’s for more details. Not everyone responds to councelling, others may not feel hypnosis the right way. For those who just want support Cruse may be able to help.